If there is anything about baking that I don't like, it's the Hit or Miss aspect of it. You can assemble the most promising batters. But only if you pull the bread or cake out of the oven, you will know if taste and texture are right. Taste might even be the easier part. I had a few cases of lightly under-sweetened cakes. Those could be saved with a frosting or glaze. But if the texture gets wrong, the cake is only good for the bin. I've always had issues with using anything coconut in baking. Not that I didn't want to use it. Quite the opposite actually. But in most cases it was doomed to failure. It doesn't need much of a coconut ingredient, to make a cake as dry as a sandstorm. So it happened when I saw Comfy Belly's Banana Bread recipe. Pure happiness and an eagerness to start baking straight away set in, when I saw that the complete ingredients list was absolutely flawless from a nutritional point of view. 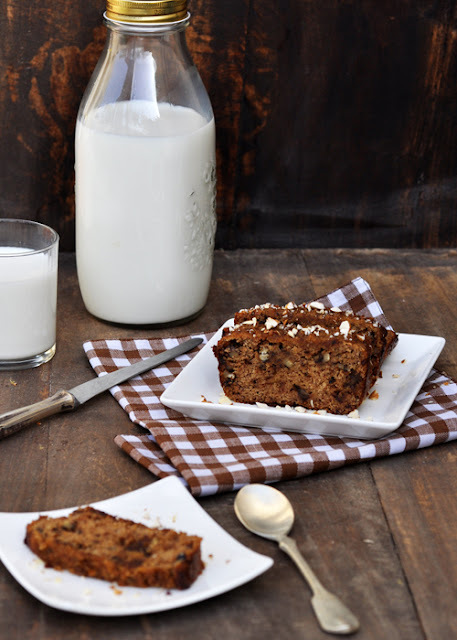 Almond and coconut flour, eggs, banana and nuts were the basic ingredients. I made a bit more coconutty by using coconut oil instead of olive oil, and swapped the maple syrup for a little date syrup and chopped dates. 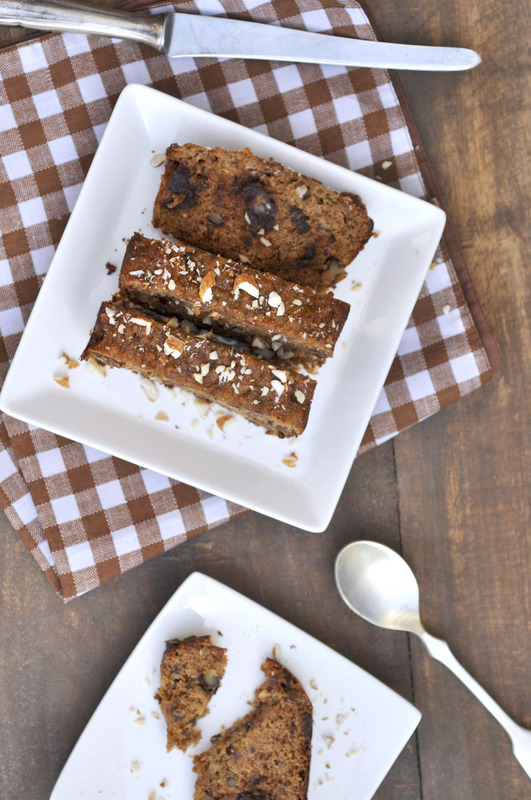 The result: the most delicious banana bread that is gluten-free, grain-free, dairy-free and without added sugars. Now that's what I call a nutritious and guilt-free cake.